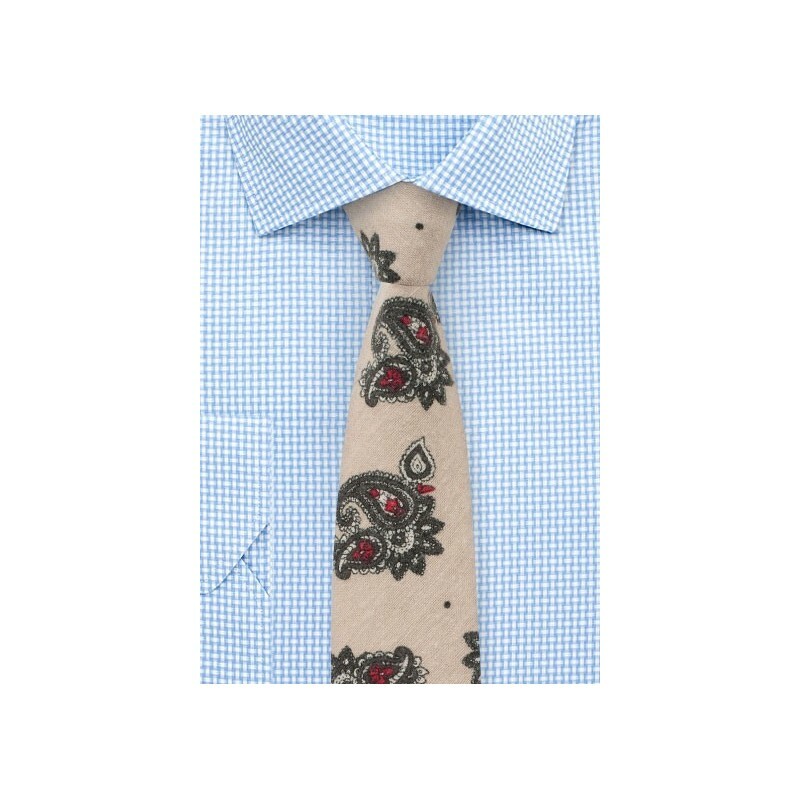 That not all neckties have to be worn with formal suit can be seen with this new cotton paisley design by BlackBird. The casual flannel cotton in tan/cream is imprinted with a retro paisley design in stone gray and red. 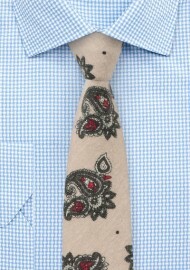 A fantastic tie to wear with just a casual button up and retro looking leather suspenders!